Addemar Support Knowledge - How to create mandatory form fields? 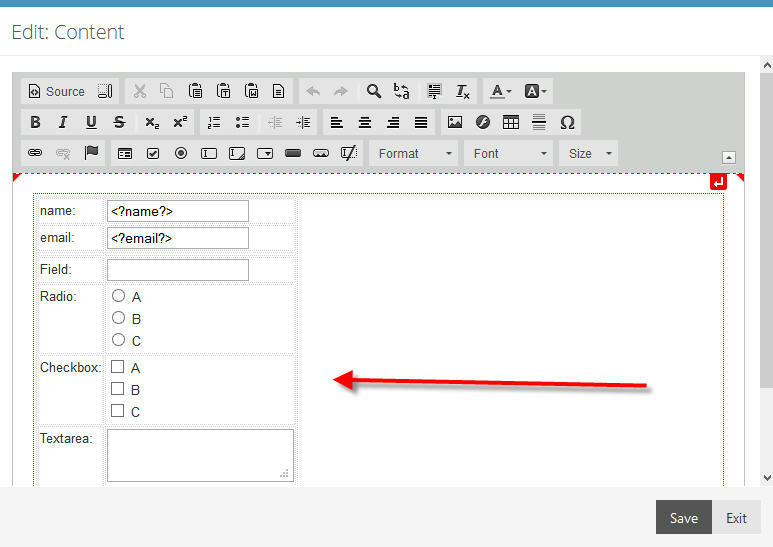 Do you want to make sure a certain field in your form is filled out? You'll have to make it mandatory. This requires some programming, but with the following guidelines, even without programming skills, you might be able to pull it off anyway! Inside this document we will describe the essentials you need to make fields mandatory. 2. Define the mandatory fields. 3. Get your form ready to check the mandatory fields. 4. Check your complete form. In our example, email and name are going to be made mandatory. First, click inside the editor. You need this source code to see how your fields are 'named'. These fields we are going to use in our checkFormFields() program. Which is described in the following topic. Copy the following code and paste in the source above your form (you can recognize where the form starts by the <form> tag). // msg will contain the errors found. In the code you just copied and pasted, you'll need to change the words 'name' and 'email' for the id's of your mandatory fields. If you have more than 2 mandatory fields, you'll have to duplicate the code for those additional mandatory fields. You will also need to adjust the submit button like stated below. This code will check if everything mandatory is filled out and will then submit the data. If not filled out it will trigger a message to indicate some mandatory fields should be filled out. Now you can launch your form/landingpage and test it !